A melting point of the world's oldest civilisations, Mauritius is a rare example of social peace and unity in a multi-cultural society. The population boasts origins from the European and African continents, as well as from India and China. With such a cosmopolitan legacy, no wonder our hospitality is legendary. Mauritius is also a safe place to live, Mauritians being naturally well-inclined and of a peaceful nature. All Mauritians enjoy freedom of expression and of religion. 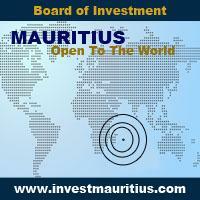 The BOI is headquartered in the Mauritius capital, Port Louis. Information on investment opportunities in Mauritius can also be obtained from our extensive diplomatic network of embassies and consulates.